Welcome to Fife : Get Yer Kilt On for St Andrew's Day this Year! you are here home visit fife highlight Get Yer Kilt On for St Andrew's Day this Year! In order to celebrate Scotland’s famous heritage, hospitality and culture, we are inviting everyone across Scotland to upload their kilted photographs to either Facebook, Twitter or Instagram, using the hashtag: #GetYerKiltOn. Selected images will be shared on our Welcome to Fife social media channels on the run up to the event and a prize of a beautiful glass kilt pictured above made by Keny Drew at East Neuk Glass will be awarded to the person who uploads the best photograph! 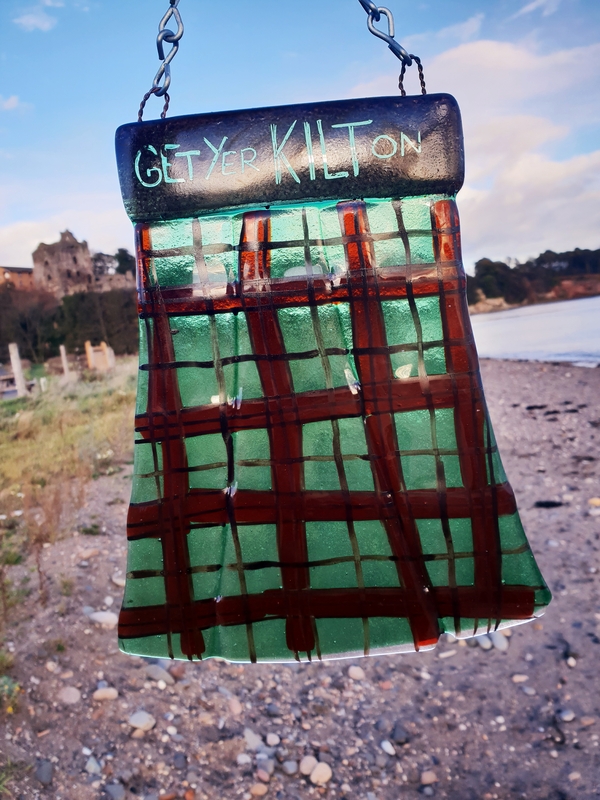 To participate in the competition, simply upload a photo to social media of yourself either wearing a kilt or tartan skirt and use the #GetYerKiltOn hashtag. The photographs can be taken anywhere; the wackier the better! Remember to make sure your post is public so we can find your photos. 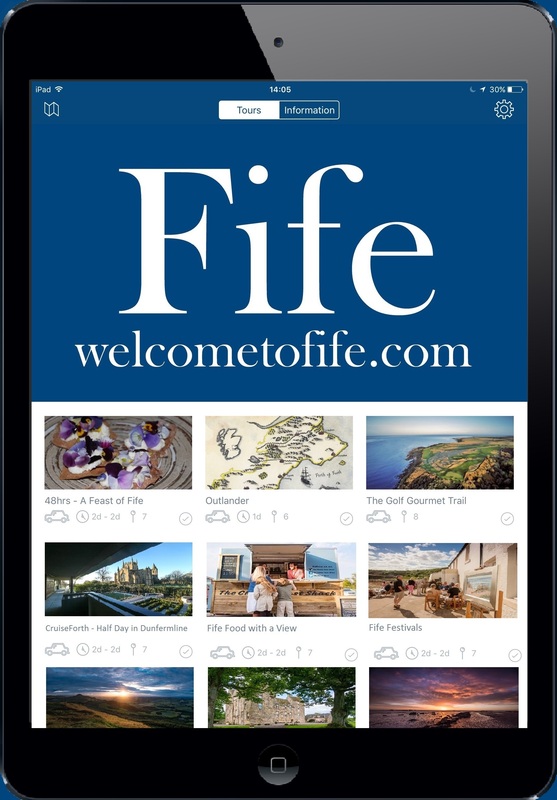 The winner will be selected on Monday the 3rd of December and the winning photo will be shared on our Welcome to Fife social media pages. Don’t have a kilt? Request a pack which includes your very own paper kilt and badge by emailing promoting.fife@fife.gov.uk! Let’s get together over social media and showcase everything that is brilliant about Scotland! …and don’t forget to wear your kilt on the 30th of November! WIN an Overnight Stay for Two at the Fairmont St Andrews! *Including full breakfast and access to the Fairmont spa and gym facilities. Attending the St Andrew's Day celebrations on Saturday the 1st of December in the town of St Andrews? Simply look for our #GetYerKiltOn carboard cut-out, take a picture in it and upload your photo to social media using the #GetYerKiltOn hashtag.